At CES 2017, Intel introduced a new form-factor for computing platforms in order to enable easy development, configuration, maintenance, repair and upgrade of various devices. 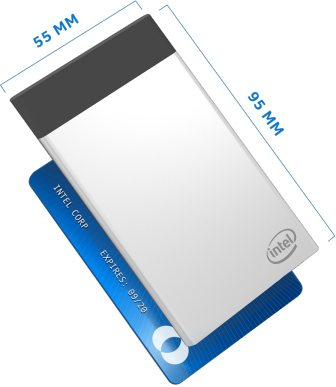 Intel’s Compute Card is as small as a credit card, but, packs everything needed for computing, including the CPU, DRAM, storage, communications and I/O. The first cards are set to be introduced in mid-2017. Computing has become so ubiquitous nowadays that almost every more or less sophisticated piece of hardware has a microprocessor inside. Many such devices are designed to operate for years, but, since computer chips inside them get outdated, it is almost impossible to upgrade their functionality (e.g., add new security capabilities, speed up processing, etc.) without replacing the whole unit, or a significant part of it. Alternatively, if a CPU or a memory IC fails, repair of such a device may cost a lot in terms of money and effort. This translates to downtime and lost revenue. Such things happen because of various reasons, but the main two are proprietary platforms with tight integration and no upgrade path, or complex architectures that do not allow for a quick replacement of faulty components. The list of such devices includes everything from business PCs to point-of-sale kiosks and from smart TVs to commercial equipment. The Intel Compute Card has been designed to be a universal computing platform for different kinds of devices, including those that do not exist yet. The ultimate goal is to simplify the way companies develop equipment, use, maintain, repair, and upgrade it. Creators of actual devices have to design a standard Intel Compute Card slot into their product and then choose an Intel Compute Card that meets their requirements in terms of feature-set and price. For example, PC makers could create systems in all-in-one or clamshell form-factors and then use Compute Cards instead of motherboards. For corporate customers that need to provide a lot of flexibility (and, perhaps, solve some security concerns too) - every employee has a card and can switch between PCs. 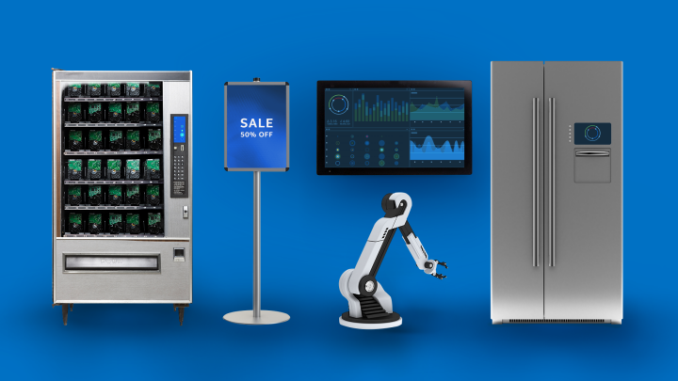 In other markets such as automated retail kiosks, vendors can easily provide upgrades to deliver better functionality as Intel releases new Compute Cards in the future. 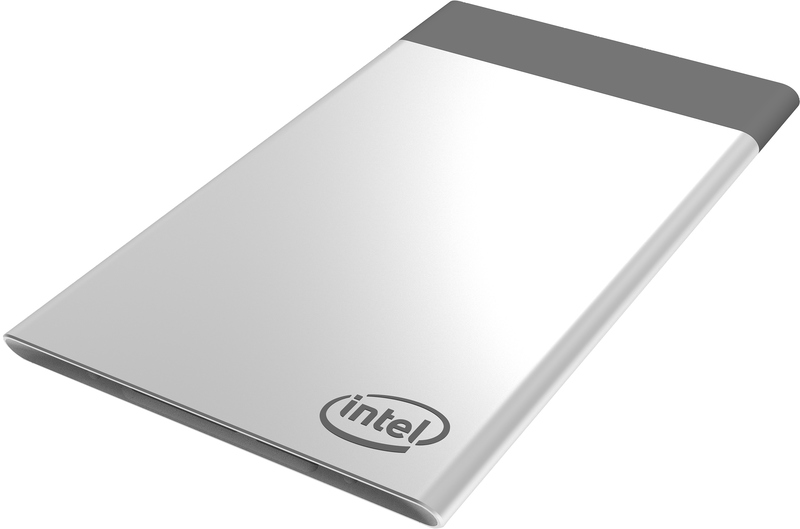 From a technology standpoint, Intel’s Compute Card resembles the company’s Compute Stick PC. However, its purpose is much wider: it is a small device that packs an Intel SoC or SiP (including Kaby Lake-based Core processors with vPro and other technologies), DRAM, NAND flash storage, a wireless module and so on into a small enclosure. Nonetheless, there are a number of important differences between the Compute Card and the Compute Stick. The Compute Card is a sealed system with “flexible I/O” in the form of a USB Type-C and an extension connector. The “flexible I/O” is not Thunderbolt (obviously, due to power consumption concerns), but it handles USB, PCIe, HDMI, DisplayPort connectivity and has some extra pins for future/proprietary use. Intel is currently working with a number of partners to enable the Compute Cards ecosystem. The list of global players includes Dell, HP, Lenovo and Sharp. There are also regional partners interested in the new form-factor, including Seneca Data, InFocus, Contec DTx, TabletKiosk and Pasuntech. At the moment, Intel and its partners are not discussing their Compute Card-based projects, which is understandable. Moreover, do not expect all these companies to release their Compute Card hardware simultaneously because different equipment has different design and validation cycles. Speaking of the form-factor itself, this is by far not the first form-factor the size of a credit card or something close (e.g., Mobile-ITX, Pico-ITX were announced, but never took off). However, this one seems easy to integrate and it is backed by Intel, which gives it credibility. There are a number of applications (and usage scenarios) that could take advantage of the Compute Card right away (e.g., corporate PCs, smart TVs, digital point-of-sales, emerging devices, etc.). However, there are also many embedded applications that just require uninterrupted operation without any need to upgrade. For those, traditional industrial PCs and boards will continue to be the mainstay, and the credit card form-factor will not bring any clear advantages. The other interesting aspect here is the future of the Compute Stick form factor. Given that the ARM-based HDMI sticks are not a popular form factor any more, it is not surprising that Intel has also not decided to update the Compute Stick lineup with Kaby Lake. Intel indicated that they would be evaluating the future of the Compute Stick in 2018, and decide if it warrants an update with the latest processors at that time. Our opinion is that the Compute Stick form factor has reached the end of its life, and it is for the Compute Card to carry on the miniaturization revolution. The Compute Card has much more flexibility in terms of the differentiation from the vendors' side, and it is not encumbered by an active cooling mechanism. Obviously, the ability to just plug the device into a HDMI port is not there, but, the Compute Card, by itself, is light enough to just hang directly off a display's HDMI port. Therefore, it is possible that some vendors can deliver a Compute Stick-like platform with the Compute Card also (albeit, with a slightly different form factor). We expect to hear more about Compute Card related projects in Q3, either during Computex or Intel's Developer Forum. Is nobody else planning on 3D-printing a tiny server rack to hold 8 of these babies? Universal Computing Platform? Hmmm, seems more like the optimum Universal Backdoor for government monitoring and easy hardware override, given Intel's cosy relationship with the NSA. Remember SGX is now baked into all new Intel silicon, which no-one seems to wants to talk about - hardware obfuscation of running code and memory space, so spying applications (and other malware) cannot be snooped on by users. If you cannot legitimately audit the processes running on your own machine, and what they are up to, then you are f*cked. This is a personal security nightmare happening right now with every new Intel processor sold post-Broadwell.